The typical American diet is inundated with sugar. One of the common culprits is jam. Who doesn't love a little jam on their toast, english muffin, or bagel? 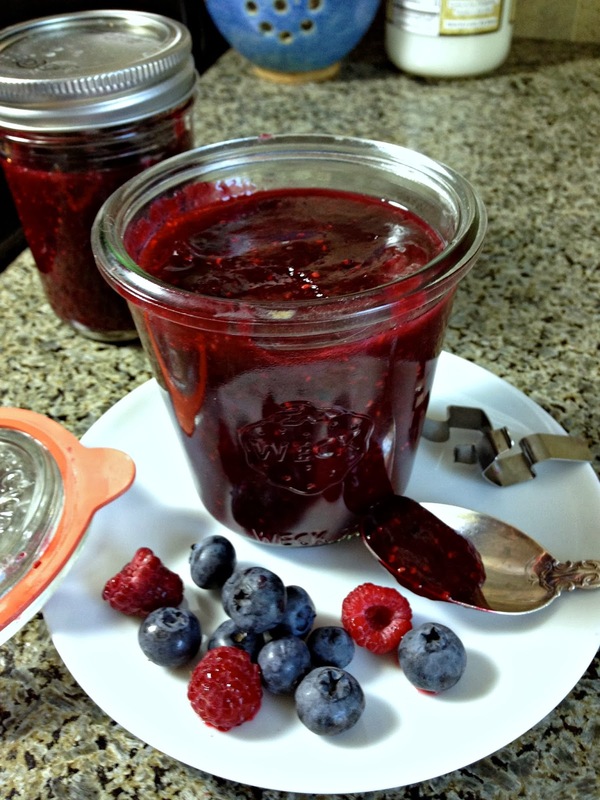 But, most jams contain quite a bit of refined sugar in order to achieve that sweet taste we all love. Whether we have food allergies or not, we can all agree that cutting down our refined sugar intake is a good idea, right? Ever since my daughter and I returned from our trip to National Jewish in Denver, where we discovered that she can eat pine nuts (even though she is severely allergic to tree nuts), I've been searching for the perfect dairy-free pesto recipe for her to sample. 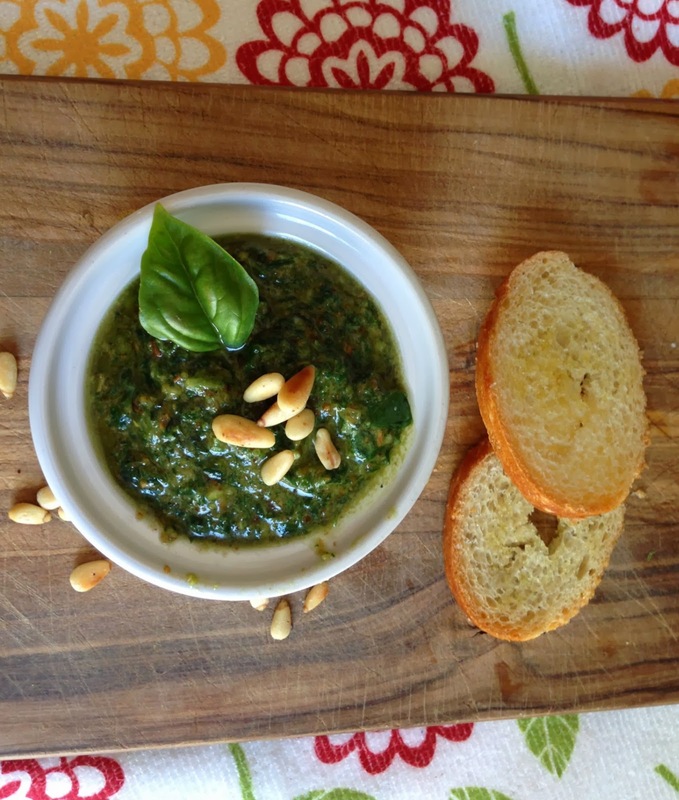 Of course, traditional pesto contains parmesan cheese, but really it tastes great without it. I combined a few recipes I found online to come up with this version. Now go make it and slather it on your favorite crostini or pizza dough!